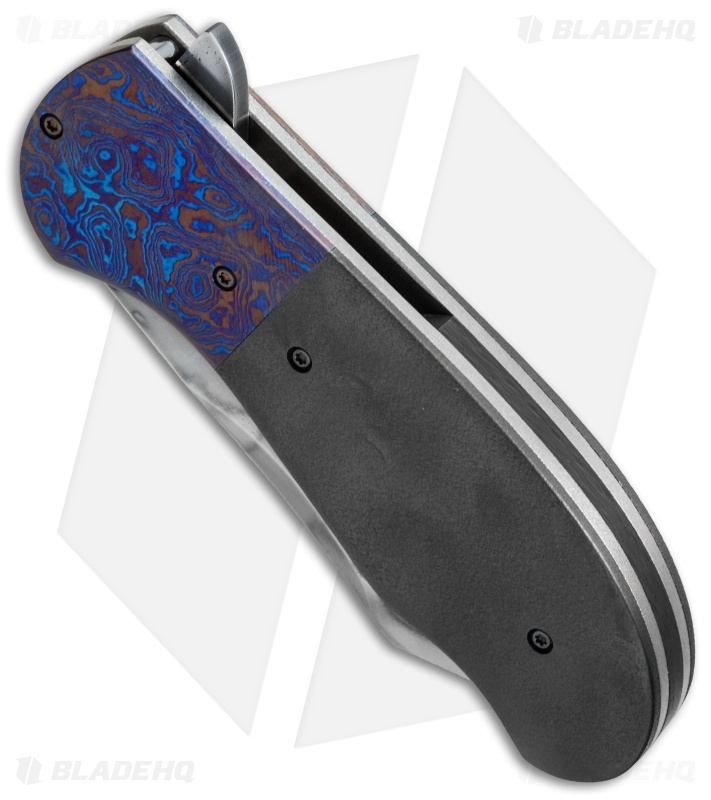 This custom Puffin XL flipper is an elegant knife with a substantial size and weight. It has a Hamon finished 1095 steel blade in a clip point style. 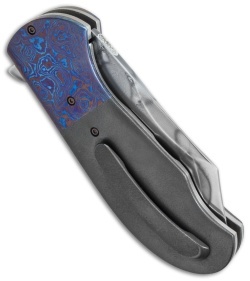 The handle features blue timascus bolsters in an Amoeba pattern with heavy duty Zirconium scales and pocket clip. A titanium liner lock frame and carbon fiber spacer add a solid framework for the knife. 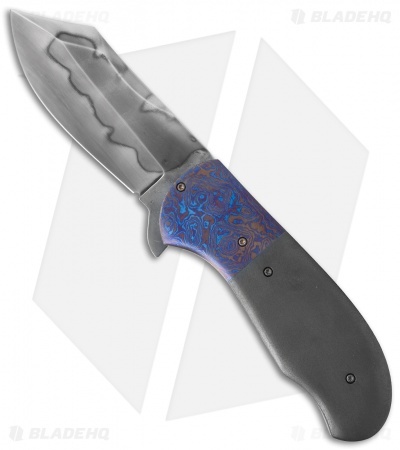 Chuck Gedraitis has been making fine knives for over 17 years. His style is elegant and the attention to detail is evident in every piece he makes.